Over his career, Clabots has founded and run four companies. The first was his design studio, Nonlinear Studio, which he founded in 2010. 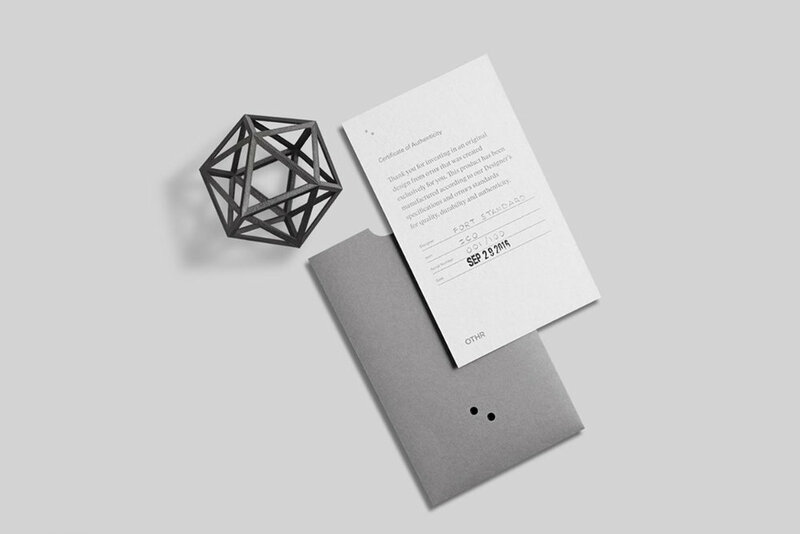 This company was a multidisciplinary design consultancy that focused on assisting other companies with their Product Design and Creative Direction. During the three and a half years that he ran Nonlinear Studio, Clabots also founded two consumer-goods companies. These included a self-titled watch brand, Nonlinear, and Amplifiear, a company that produced an iPad sound amplification device originally funded on Kickstarter. In 2013, Clabots was offered the role of Senior Vice President of Design for the then-booming design start-up, Fab.com. Clabots closed his three prior companies and took this job. At Fab.com, he led the company’s design team and eventually facilitated the transition of his division to the offshoot, Hem. Less than a year later, Clabots co-founded OTHR with fellow designer Joe Doucet and owner of Tokyo Bike USA, Dean DiSimone. Here, Clabots served as the company’s Chief Design Officer for two and a half years before stepping back from a day-to-day role September 2017 and transitioning to an Advisor. 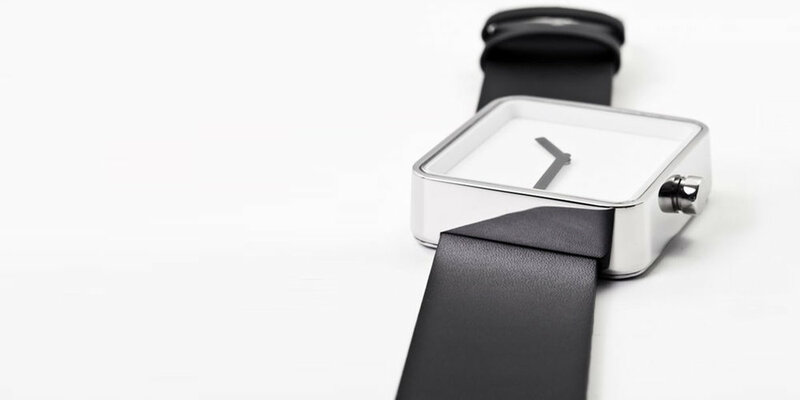 A self-proclaimed ‘watch-phile’, Clabots designed the Slip Watch as a concept piece when launching his design studio in 2010. After approaching a few companies for production, his friend and owner of watch brand Nooka convinced Clabots to start his own brand. A true bootstrap endeavor, he produced an initial run of a thousand units and set out to start a watch company. Clabots sourced production, designed and coded the company's eCommerce platform, developed the branding and packaging, hired a sales team, and set off to the trade shows. The company soon expanded to offer five versions of the watch. At the time, Nonlinear watches could be found in all of the top, international eCommerce watch stores. They were also sold in design-forward, brick-and-mortar locations, including the prestigious MoMA Design Store in New York and Korea, and the trend-setting Chez Maman in Paris. By launching this brand, Clabots quickly learned that design was just one (albeit important) component of a product’s success; in reality, design is truly a team player that interacts with business elements such as sourcing, logistics, marketing, and sales. Amplifiear was a company born from a platform, not a product. Around 2011, crowdsourcing was becoming a mainstream means of launching a company, and Kickstarter had just seen its first campaign surpass 1 million dollars in funding. Having successfully gotten his watch company Nonlinear up and running, Clabots was curious to see if Kickstarter could help him to launch a further-reaching product company. He began looking into which products received the most pledges from the Kickstarter supporter base, and he found that the most successful at the time were Apple periphery devices. Seeing this trend, Clabots dove in and looked for a product needed in that space. He identified a product flaw with the rear-facing speaker on the iPad 2 and set out to create a device that would redirect and amplify the sound forward. The result was the Amplifiear. Clabots crowdfunded the product and company on Kickstarter and received 456% of the funding goal. With this experience, Clabots again expanded his skills and brought this company to life. He directed the video, art direction, and all photography. He directed the branding and packaging, sourced the production locally in the USA, and set up a sales team to work with fulfillment facilities. The company received enormous attention in the press, including an article in Forbes entitled, 'Here's A Kickstarter Project for the iPad that Apple Should Buy.' Upon publication of this article, Clabots was contacted by the Head of Retail at Apple for distribution of the product in Apple store nationwide. The product was also included in the MoMA's exhibit 'Made in NYC’ in 2013 and was distributed internationally for 2 years until the redesign of the iPad's speaker with the release of iPad 3. In 2015, Clabots was approached by fellow designer Joe Doucet with an idea for a venture capital-funded startup that produced on-demand, 3D printed homeware designed by the world’s top talent. Clabots saw in this company the potential to change not only the way that design was executed, but also the way in which designers collaborate and leverage new technologies. In 2015, Clabots agreed to co-found OTHR with Doucet, and they later brought on a third co-founder, Dean DiSimone, owner of Tokyo Bike USA. Within the first two and a half years with this company, Clabots helped to take OTHR from a concept and turn it into an award-winning leader of innovation in the design field. As Chief Design Officer, Clabots worked with leading designers from around the world. Clabots established the design and merchandising goals across the entire company. He established product development best practices, and worked with domestic and international manufacturing partners to use the 3D printing technology in an entirely new manner. Clabots also authored art direction guidelines for developing story for all product imagery and website. Externally, Clabots developed a new type of design brief for collaborating with external design partners, communicating brand vision, and identifying technologies to support the design process. Clabots has had the honor of working hand-in-hand with world-renown talent, including Michael Sodeau, Todd Bracher, Sebastian Bergne, and Phillipe Maloiun, among others. OTHR and its products have won a Wallpaper* Design Award and the Inc's 2017 Design Award for Most Entrepreneurial Design Studio. The company has also been nominated for Design Museum London's Beazley Designs of the Year in the digital category and by Fast Company's Innovation by Design Award in the Products category.